Commissioned by Cross Life Church to evaluate the feasibility of a 4-Phase Addition. 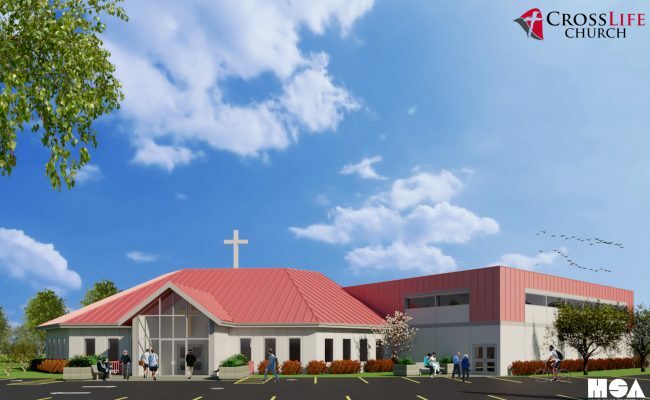 Michael Shilale Architects, LLP (MSA) recommended a feasibility study for the Cross Life Church to properly plan and phase a multi-year construction program that would not disrupt or restrain any future plans. When the Cross Life Church came to MSA to build a two-classroom addition, MSA asked about their future plans. Besides adding classrooms, their plans and dreams also included the building of a gym and new 300 seat sanctuary. The focus was for this project to serve the congregation and the community for many years to come. Through iterative design, and working together with the client, MSA’s solution provided a multi-year build program that addresses their needs and acknowledges their requirements for a phased process.